Propane offers exceptional performance for a wide variety of commercial and residential uses. Many families and businesses choose to rely on propane to fuel their vehicles, homes, and companies in all manners possible. Propane works in heaters, generators, lawn mowers, and even forklifts. At Northwest Propane, we work tirelessly to ensure the community of Fort Worth has their fill of energy-efficient propane. Our services bring propane gas in Fort Worth, TX to the forefront of everyone’s mind. Potential customers stop and consider how they can save money by switching over to propane with Northwest Propane. At Northwest Propane, we offer exceptional propane in Fort Worth. All of our services have been designed to deliver quality and affordability to residential and commercial customers alike. We can refill your tank, ensuring your heating system functions properly through the cold winter months, or we can refill a forklift to ensure your warehouse continues operating on a daily basis. Whatever your need, our experienced propane technicians can install, deliver, and repair any propane system in the home or office. Alternatively, you can visit one of our two showrooms – either in Carrollton or Pilot Point/Aubrey – to learn exactly how propane can help you. Fort Worth is the 16th biggest city in the entire country and the fifth largest in Texas. With a population of over 833,000, Fort Worth continues growing each year. There are several world-class museums, the Van Cliburn International Piano Competition, and multinational corporations, including Bell Helicopter, American Airlines, and Pier 1 Imports. It is safe to say that Forth Worth is a cultural, historical, and business-oriented city. 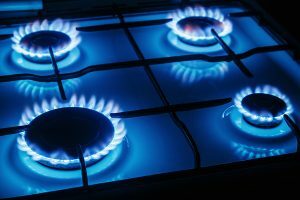 For exceptional propane gas in Fort Worth, TX, call the experts at Northwest Propane for all your needs. We’re happy to help in any way we can. Call 972-247-6121.